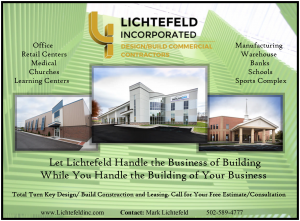 I did a pre-run yesterday…ew start with 12 miles of freeway, exiting to enter the municipality of Waddy, KY….heading South and East on country roads through Lawrenceburg, to our 1st stop at Doughdaddy between Versailles and Lexington. I sacrificed my waist on club behalf sampling an excellent cinnamon twist. The bakery makes all donuts fresh and is in a retired Thornton’s type gas station. Plenty of parking and the manager is excited to see a bunch of Porsches! From Doughdaddy, it’s back roads down to Danville, where we stop at Burkes Bakery, a local mainstay for more than 60 years. I had an excellent cinnamon crumb donut. Plenty of on-street parking, right in front of the bakery. 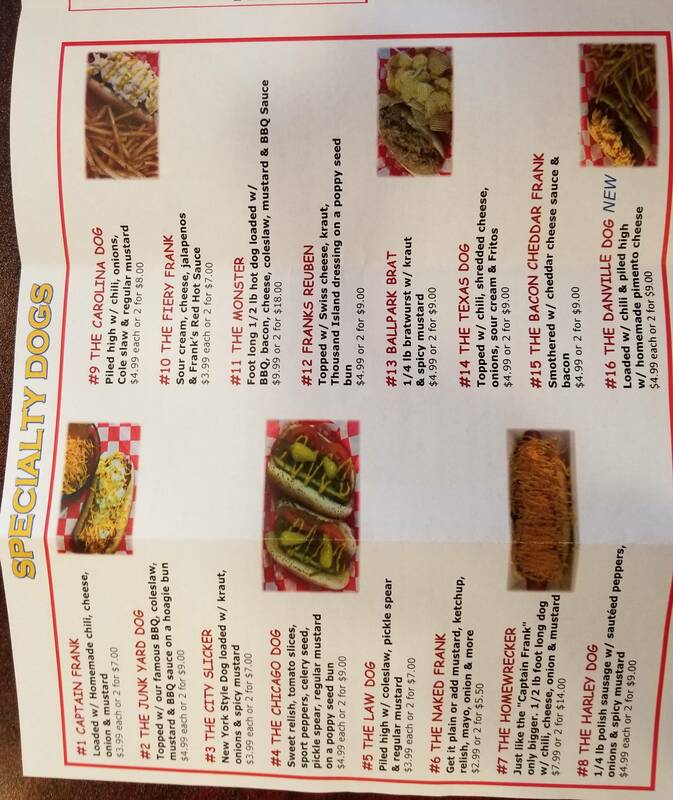 From there, it’s a hop, skip and jump to North 4th Street to Captain Frank’s Hot Dog Emporium for lunch. Parking available across the street at the court house. 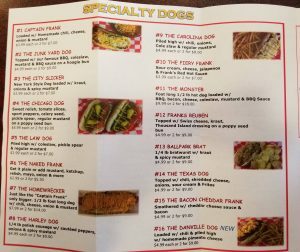 16 separate specialty dogs available, as well as a full lunch menu. If you are vegetarian, vegan or Whole Foodsatarian, this may not be your favorite place to eat. 150 total miles, 2.5 hours of driving time….plenty of excellent scenery: some fast moving streams, Kentucky River, driving through a wide gorge eroded through millenia by the Kentucky River….come out and see it. NOTE the new meeting place,…we will NOT be across from the dealership. Come out for sugar, driving and junk food!